A giant panda named Hua Jiao is set to be released into the wild in Sichuan Province, becoming the fifth candidate of the country's program to send artificially bred giant pandas back into the wild, according to a report by the Xinhua News Agency. The 2-year-old female giant panda has finished a wilderness training program, according to Huang Yan, chief engineer of the China Conservation and Research Center for the Giant Panda (CCRCGP). Hua Jiao is the younger sister of Tao Tao, a male giant panda released into the wild in 2012. She weighs around 50 kilograms. "Hua Jiao has met all wilderness training targets and she is absolutely an A graduate," Huang said. "We are hoping to introduce more artificially bred pandas into the wild to diversify the gene bank of local panda community." Hua Jiao will be coming from the wilderness training reserve at Tiantai Mountain. She will be released into the Liziping Nature Reserve in Shimian County before being given a physical examination. Tao Tao was also released in the Liziping Nature Reserve. Since 2006, China has been releasing captive-bred pandas into the wild. Their first panda, a 5-year-old male named Xiang Xiang, was released in Wolong National Nature Reserve. 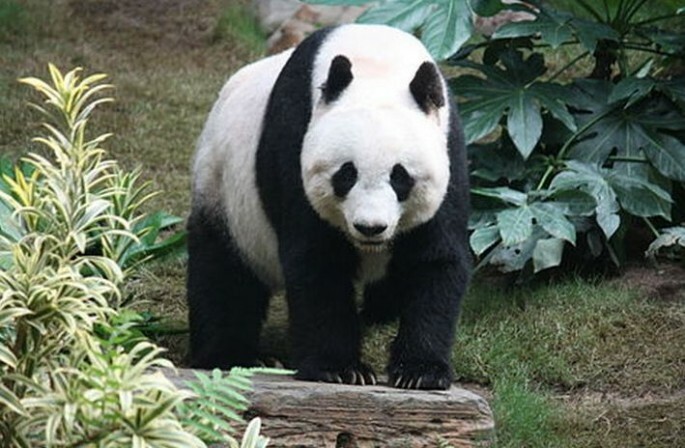 Xiang Xiang died around a year later after fighting over food and territory with other pandas. Three more pandas, named Tao Tao (male), Zhang Xiang (female) and Xue Xue (female), were released in Liziping Nature Reserve in 2012, 2013 and 2014, respectively. However, Xue Xue died in Nov. 2014, within the same year she was released. "We have taken lessons from Xue Xue's case," said Huang. "Her parents are both bred in captivity and they lack the experience of surviving in the wild. Apparently, Xue Xue had few wilderness skills. So, this time, we chose Hua Jiao, whose parents are both born and living in the wild. We believe she will do better." Researchers who have been following Tao Tao and Zhang Xiang using GPS collars, radio positioning tools and DNA extractions, said that their data shows that the pandas are doing well.